HPD announced the passing of Rony, a part of the K9 Department. Rony was a companion to his handler MPO C. Berry, and was part of the department for five years. 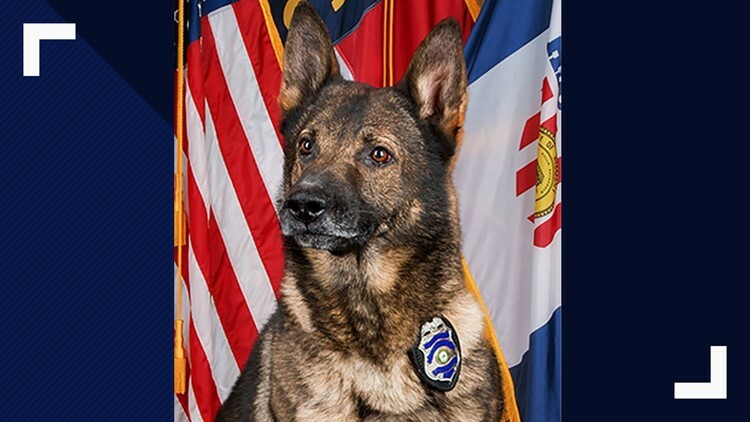 HICKORY, N.C. — Rony, a K9 with the Hickory Police Department has passed. The dog served with the department for the past year and was "a great asset in many investigations and a true companion to his handler," Hickory Police's release said. According to Hickory Police, Rony's death was unexpected -- they did not list the cause of death in the release. The Hickory community showing an outpouring of love and support on the post, mourning the loss of the public-servant canine. "It is with great sadness that we announce the unexpected passing of K9 Rony," Hickory Police said in a statement, adding, "He will be greatly missed!"